In sign of growing alliance against Iranian hegemony, Egypt extends military deployment in Gulf by 3 months to fight Houthis. Egypt on Sunday extended by three months its military deployment outside of the Nile state's borders in the Gulf, Red Sea and strategic Strait of Mandab, reports Reuters. That extension primarily comes to allow Egypt to continue its cooperation in a Saudi-led coalition hitting Iran-backed Shi'ite Houthi rebels in Yemen through airstrikes. Taking part in the coalition was ratified on March 26 in a 40-day mandate authorized by the Egyptian government. A statement announcing the extension did not specify whether the renewed mandate could possibly see Egypt deploy ground troops to fight the Houthis, although Saudi Arabia has stated its aims in Yemen are aerial - at least at this stage. Egyptian President Abdel Fattah al-Sisi visited Saudi Arabia on Saturday, signifying the growing alliance between the two states in the face of the rising Iranian influence in the region. Egypt reportedly receives billions of dollars in aid from the Saudis, Kuwait and the United Arab Emirates. 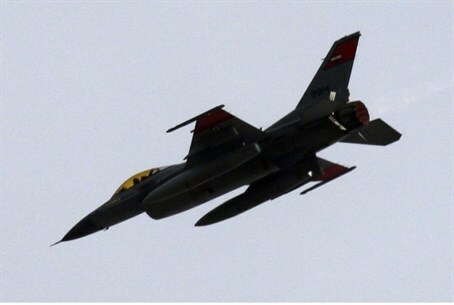 Aside from activities in Yemen, Egypt has recently been stepping up its military presence in the Sinai where it is confronting Salafist terrorist organizations that have run amok in the region. According to the peace treaty with Israel, Egypt may not send armored forces into the Sinai without Israel's approval. It also has been expelling thousands of Gaza residents from the border with Sinai while implementing a massive buffer zone.